Lori has been a singer, songwriter and recording artist since the 1990’s. Her songs were written from a place of great faith as she sought healing from a congenital heart condition. Lori started singing with her Church worship team in local services, various conferences and outreach. More recently, Lori sings positive music in coffee houses and outreach with her good friend and fellow musician, Lynn Nadeau. As an acoustic duet, they are “Blanket Forte’.” Named, in fun, after they spent an afternoon in a blanket fort to prepare for their first coffee house performance. 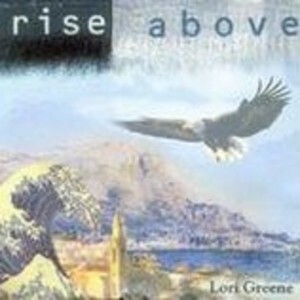 Lori’s first original full length CD entitled, “Rise Above”, was recorded in 2002. As a self published artist, Lori quickly sold her CD’s on the eastern coast, from Canada to Florida. She also made her way into Song Discovery’s Worship Magazine and on Puerto Rico radio after they contacted her to seek permission to play it on air. Additionally, her music has been featured on local television channels and Radio. 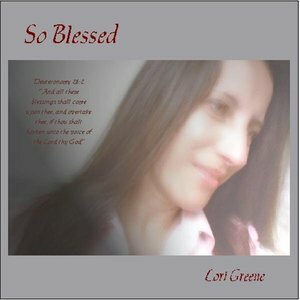 In 2007 Lori recorded her second CD entitled “So Blessed”. This original full length work was inspired by Lori’s grateful heart for another chance at life. This was her positive response through many challenges. In her commanding style, she sings a message in each work. One of the songs, “I Am Risen With Christ”, was recorded with the Mount Zion Christian Schools Worship Team. This added to their experience as up and coming worship leaders. “A friend gave me your CD and I absolutely love it! I find it so full of God’s grace and your love and faith in him. It provides me with many, many, moments of worship and prayer. You have given whoever listens to it a great gift by sharing your precious and precarious walk with the Lord. Thank you so much.” ~J.S. “I am soooooooooo excited about your CD and I pray many, many blessings on your ministry! You are truly an “anointed” singer Lori!…I love your voice… I am not one to flatter people… and when a song touches my heart, spirit and soul, the song is certainly “anointed.” ~I.V. “I listened to your CD and I love it. You go girl!! It is a blessing. You are a very talented lady, everyone who cuts a CD is not able to pull it off with such a professional sound. The lord is blessing Your work.” ~T.A. “A friend gave me your CD and I just want to tell you what a blessing it is. I’m going through some rough times right now with my marriage and your songs bring joy and rest to me. Thank you.” ~M.D. “Dear Lori, Your husband…shared with me about your musical gift. He graciously gave me some of your CDs… The music is such a blessing and another friend I gave one to has told me that it has become her favorite…The whole CD is just great from cover to cover… It is really a blessing for whatever I seem to have need for at the moment…Also thank your husband again for being a witness and passing on the blessing of your music, it was such a blessing to hear him being so enthusiastic about your gift!! !” ~ S.H.